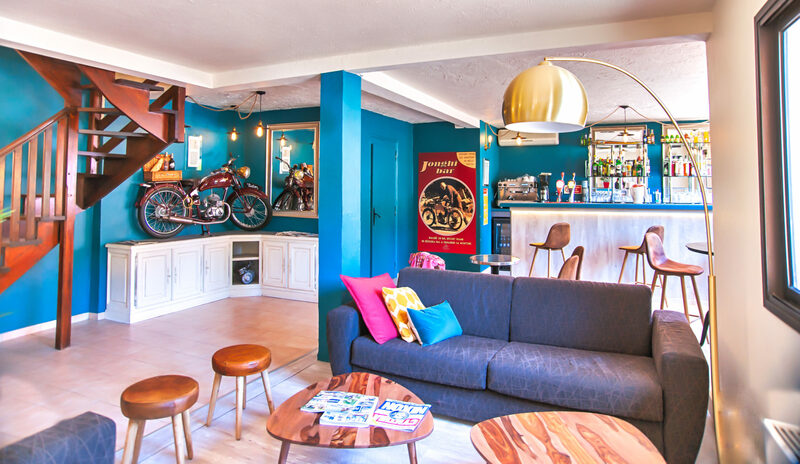 Nestled in a vast green setting between Saint-Tropez and the Gorges du Verdon, our charming *** hotel of 24 rooms welcomes you throughout the entire year in a warm, friendly and family atmosphere. The rooms are all decorated in a modern style, the hotel has privilege rooms, and communicating rooms for families. All our rooms offer a view on the garden and the pool. They have private bathrooms, flat screen television, air conditioning and a terrace. Wi-Fi is available in the entire establishment and the parking is free. 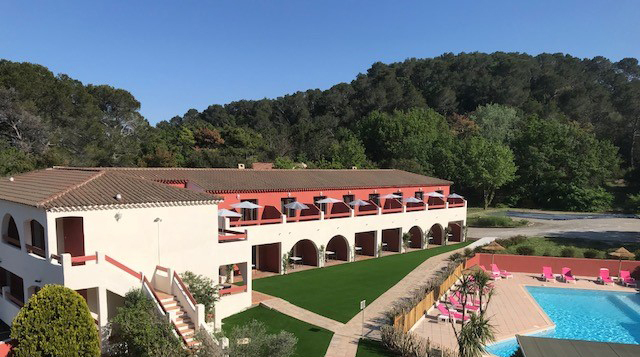 Our hotel is ideally located 2kms from the exit number 36 of the A8 motorway, 900 meters from Château Sainte Roseline and la chapelle Sainte Roseline, in 45 minutes by car fromNice airport, 20 minutes from the beaches of Fréjus/Saint-Raphael, 10 minutes from the SNCF Arcs train station, and at the foot of the cycle path La vigne à vélo. 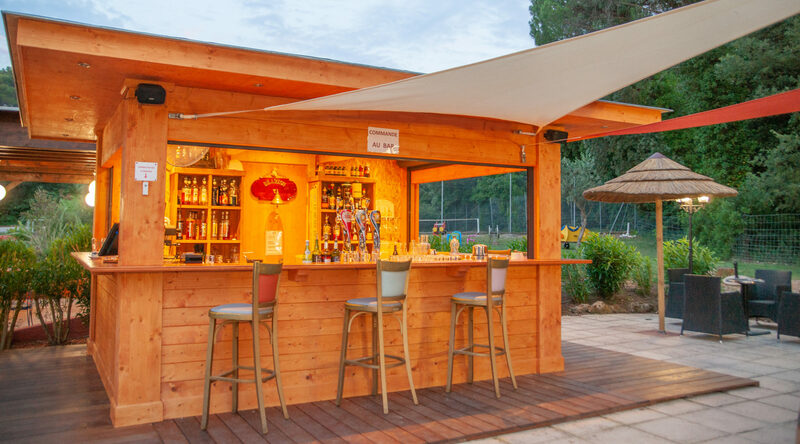 At the beginning of « Les vignes à vélo » you will find « La Terrasse des vignes » and the lounge bar with its snack menu, a wide selection of cold drinks and ice cream. You will be able to enjoy a moment of relaxation around a drink and a board to share while your children have fun on the playground. Come and have a good time with friends or family in a chic atmosphere. In the evening, the Jonghi Bar welcomes visitors in a relaxed atmosphere and offers you year-round retransmission of sports events. Hotel guests can enjoy the outdoor swimming pool and sauna during the summer months. 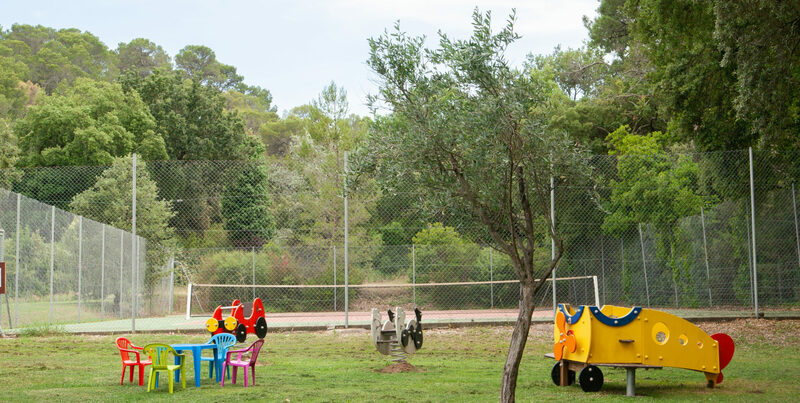 A tennis court and a play area for children are also available. 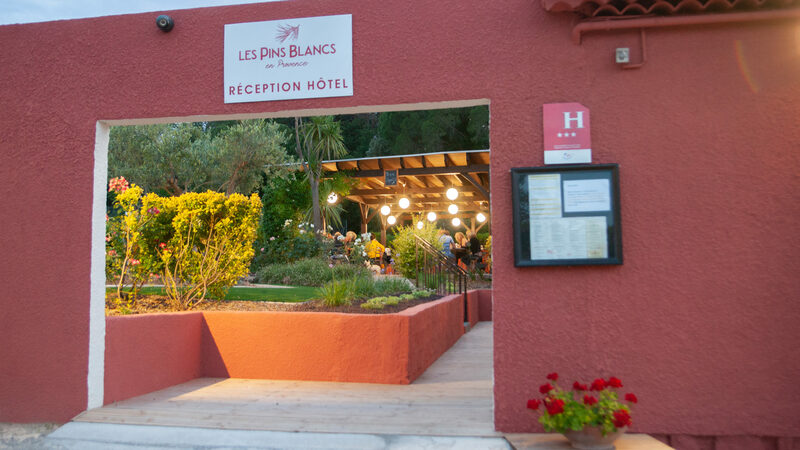 Les Pins Blancs offers a friendly and family atmosphere to make the most of your stay. You will decompress playing tennis, ping-pong, petanque on our bowling alley, while your children will enjoy the outdoor play area. A meeting room is also available with the possibility of organizing seminars or receptions. The rental of the room is possible at the half day or the whole day. 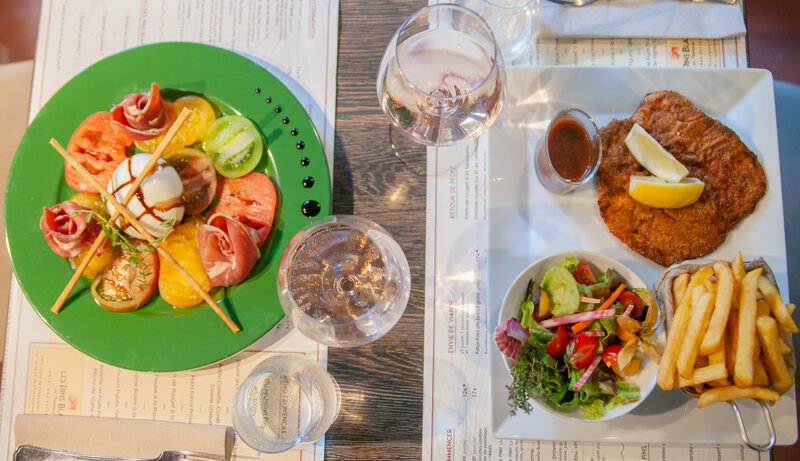 Our brasserie offers gourmet and Provençal cuisine a la carte and menu. You will also find our meal suggestions for your special events in the RESTAURANT section.